This centre is situated at the heart of the business district, close to the railway station. 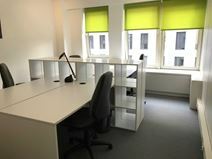 The centre offers a range of workspace solutions to suit your needs, and come furnished. This turnkey solution is the ideal workspace for companies that desire efficiency and convenience. Also close to a great selection of local amenities: a shopping centre, hotels, a supermarket, and many parking facilities to make commutes as easy as possible. A modern centre that offers clients a vast number of different options to make working here as pleasant as possible. A number of offices are available at a variety of different sizes with many catering for large businesses or ambitious startups. Meeting rooms are available for boardroom meetings or day to day catch ups. For less formal affairs there are break out spaces, ideal for getting a quick coffee and just catching up with colleagues. The centre is open 24 hours so it is ideal for those who need to work beyond traditional working hours or for those who have to work with clients in different time zones. Cleaning staff are there to ensure that each office is kept to a high standard and well equipped for day to day use. With Luxembourg station being only a short walk away, this is a great centre for commuters and those who need to get across the city for business reasons. Other stations such as Liège are also easy to get to by walking and offer domestic and international trains that make travelling as easy as possible. Major roads are close by so for those who travel by car and the main airport is just a thirty minute drive and offers a range of international flights. This modern office space provides an eclectic range of professional office solutions. 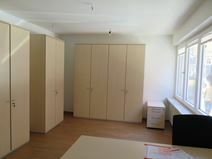 Offices are fully furnished and well equipped, with ergonomic furniture and high speed internet connectivity throughout. Your membership is inclusive of a range of services such as telephony services, services changes and more. Nearby you will find public car parking and the area offers an abundance of public transport links. This great business location offers fully furnished offices in the heart of Luxembourg, with a range of local amenities in the neighbourhood. Membership rates are inclusive of services such as telephone connection, high speed internet, service charges and more. A concierge service is provided on site for your convenience. You can also enjoy great views of the city from a terrace. Public parking is found nearby. Offering well decorated offices in a professional and modern setting, this business centre offers affordable and flexible terms. Offices are fully equipped with high speed internet access, ergonomic furnishings and storage units. Your membership package includes a range of services such as telephone access, 24/7 secure access and service charges. A concierge service is available on-site for your convenience. This business centre is ideally situated in the center of Luxembourg, close to banks, law firms and more. This is a modern building offering private and shared office space on flexible terms to suit your needs. Here, you can take advantage of many facilities that will enhance your business, such as 24-hour access and administrative support. Close by, you will find a selection of restaurants and many shops. This extremely accommodating centre sets the benchmark in flexible workspace solutions. Offering a choice of offices and meeting rooms to rent with full support services and secure underground parking. 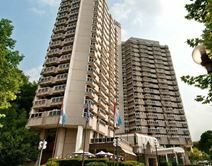 This luxurious building is set in a prime location on the avenue John F. Kennedy; an area of Luxembourg city that is home to the leading concentration of EU institutions and close to the airport and the motorway systems leading out of Luxembourg. On the avenue John F. Kennedy these luxurious offices are set amongst commercial and cultural institutions but also beautiful areas of public gardens. Flexible options are available for clients to rent offices and meeting rooms whereby the space is furnished and equipped to meet each company’s requirements. There is also a range of support facilities provided so that your business can flourish efficiently. This site is highly accessible from any point of the city, owing to its abundance of public transport links within walking distance. 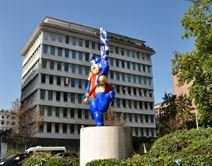 Situated in the Kirchberg Quarter, an area home to several European Institutions, prestigious attorney's firms and well-known companies including KPMG and EIB, this business centre is found on the 4th floor of the building and provides a choice of personal private offices or spaces with larger capacity for bigger teams. Offices are fully equipped and furnished, and also comprises of an open-air courtyard, a fitness center, as well as Daycare and Concierge Services. In addition to its prime location at the very heart of the Grand Duchy's capital city, this centre offers its customers a luxurious and tranquil working environment, while also providing an experienced team of professionals. This centre provides their clients with bespoke solutions to meet their requirements by offering 40 bright, well equipped luxury private offices and meeting rooms for up to 100 delegates. This luxury building is located in the heart of the business district of Luxembourg and home to many of the financial institutions of the city. A range of recently renovated spaces in a variety of sizes are available. There is also a secretarial team situated in the welcoming entrance hall. For easy access, there is secure, underground parking on site, and the centre is totally secured with an Eco-pass energy certificate. 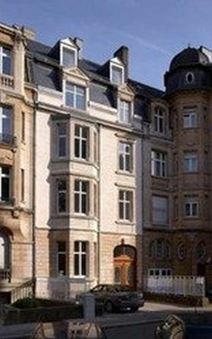 Furnished offices in the heart of Luxembourg city; these offices are housed in a beautiful building combining both historic features with the newly refurbished comfort of a modern day office space. The centre offers offices and meeting rooms with services and facilities adapted to company needs. The centre is just 5 minutes’ from the central station and a short drive to the European Institutions and Luxembourg International Airport. Situated just 10 minutes from the central train station by bus, this business centre was opened in 2015 and is housed within an entirely modernised 1930s building. Two meeting rooms can cater for up to 14 people while the furnished offices can accommodate between one and eight people. Lambert Redoubt is just 5 minutes away, within a beautifully maintained green space where you can relax during your lunch breaks. Close to the French and German Highways this strategic and prestigious location is surrounded by greenery and provides flexible office space from 8m² to 40m². A pleasant work environment with an convivial atmosphere, this space encourages companies to excel under the best conditions. These versatile spaces are suitable for individual or team work, and are close to an abundance of art galleries, museums and tourist attractions. The building is a landmark in the central business district, recently refurbished to provide modern and contemporary office spaces for entrepreneurs. With 24/7 access you can work at your own pace, whenever you want. The centre offers great amenities on-site, including access to an espresso bar serving barista coffee, and a Michelin concept restaurant and evening bar. The centre is well serviced by public transport connections and is only minutes away from major motorways with access to Germany, France and Belgium. Housed in a striking marble and glass building along the Boulevard Royal this centres' location and facilities make it one of the best business addresses in Luxembourg. In the heart of the financial district it is just minutes’ away from the central station and the motorway network towards Germany, France and Belgium. The centre has secure underground parking and boasts its own cyber café so that you can remain well connected throughout your occupancy. Serviced offices, strategically located just 5 minutes’ from the airport and motorway systems which link clients to Belgium, Germany and France but also the Kirchberg financial district. In this business centre the options are flexible and support staff are available whenever this is required. 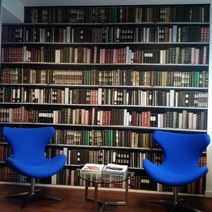 Facilities include internet and phone connections, postal services, meeting rooms and a reception area. A short walk away, you can reach the Buvette Tennisclub. This modern office building is just 300 metres from the Luxembourg Airport and close to the city centre and motorway systems. It offers clients a variety of office sizes with a full range of services and facilities, these include: furnished offices with heating, cleaning and reception services. Situated close to the Luxembourg Airport clients may also benefit from the services that the area has to offer such as hotels, restaurants and a well known golf course. Just two hours from Paris by train this business centre provides offices and meeting rooms available from half a day to a couple of months depending on your needs. The centre prides itself on providing cosy and functional workspaces. In addition, the centre is accessible 24/7 so you can work through late hours. Close by, you can find several hotels, parking facilities and green spaces in which to relax during well deserved lunch breaks. 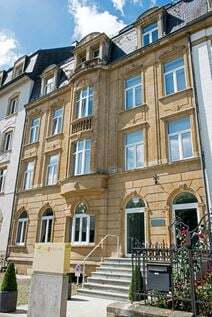 Perfectly located on the Royal Boulevard in the centre of Luxembourg City, these fully equipped offices are immediately operational and provide clients with VOIP phone and high speed internet networks. This equipped space also benefits from a fantastic location, close to many amenities including shops, eateries, further parking facilities and local attractions. In walking distance, there are museums, parks and historical monuments to observe during commutes. 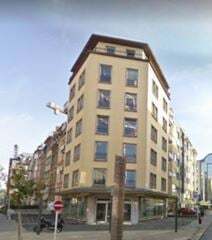 The 4th floor of this building, located in the heart of the station district in Luxembourg and 2 stops from the city, offers shared or private offices furnished at very attractive prices. In addition to the situation and the price, another asset is the lease of indefinite duration. Each workspace has a lockable private storage. The private and shared offices are on the 4th floor of a building located 5 minutes walk from Luxembourg Central Station. Thanks to the solid bus and train network, you will be able to easily reach your workspace. Luxembourg-Findel Airport is a 15-minute drive away. This is a unique opportunity to let office spaces provided with full assistance and support services to help you run a successful business. Just a few minutes’ away from the centre of Luxembourg city and from the airport, these offices are close to the motorway network and are easily accessible. Luxembourg Airport is 10 minutes away, perfect for frequent travelers and those with international contacts. This centre is well located in Luxembourg and offers furnished office-spaces available to let on flexible terms. Here, tenants can make use of the high-speed internet, meeting rooms, training rooms and communal areas. All the work-spaces benefit from plenty of natural light throughout the day as well. In addition, transport around the area could not be easier, with the Bertrange train station nearby, and several useful bus routes. Local amenities can be found in abundance as well, providing eating and shopping options for all working tenants. This centre opening soon in Luxembourg offers spacious meeting rooms, training rooms, conference space and a variety of office solutions. Filled with plenty of natural light you will benefit from a productive atmosphere and environment, with fast wifi to keep you connected. A friendly team of staff are available to provide administrative support and reception services. Nearby you will also find a variety of restaurants, cafes and a public swimming pool. This business centre benefits from an excellent selection of off-site amenities close-by, and is well connected, with the nearest motorway providing convenient access to the German border. This centre offers a beautiful business lounge, and a contemporary business environment ideal for those on the move. Here, you can use the centre's videoconferencing facilities to convene meetings across the globe. Located in the heart of the city, this modern and contemporary office spaces is located in a fantastic innovative building, giving you fantastic views of the city. You can choose from a selection of office spaces including private offices, coworking spaces and meeting room access. A professional administration team is available to support you throughout the working day. The centre is easily accessed by car and well served by public transport. Housed within a new ultra-modern building in the centre of Luxembourg-La Cloche d'Or district, this fantastic flexible workspace is finished to a high standard and provides a strategic setting in the centre of Europe to all of its tenants. There is administrative support to help your company run efficiently, as well as IT support so that you stay well connected throughout your occupancy. You can also have access to outstanding meeting rooms, conference and videoconferencing facilities. The perfect place to help you dream bigger, everyday: a newly constructed building spread over 5 floors offering contemporary private offices and open spaces. Here, there are a range of private and communal spaces, complete with spacious meeting rooms, modern lounges and event spaces. The airport can easily be reached comfortably by bus in under 30 minutes, perfect for hosting international contacts. This neighbourhood in which the centre operates brings together a variety of sectors and job profiles, so you can experience a range of networking opportunities like no other. Housed within a beautiful stone period building, this unique centre offers newly refurbished offices to let with bespoke servicing. The secretarial team will handle your telephone answering and greet your visiting clients for you. It is fitted with advanced IT systems and spacious meeting rooms and is in the heart of Luxembourg, near to the central station and less than half an hour from the airport. This space is the perfect destination for businesses with both local and international clients. This is a prestigious business base that’s easy to reach from almost anywhere in Europe; a prominent office location overlooking an international airport. This prestigious business address offers a range of office solutions on flexible terms to suit your needs. There is a secretarial team that will greet your customers and visiting clients. In addition, this furnished, turnkey solution also offers meeting rooms to use at your disposal. Spread across two separate buildings in the Cloche d'Or Area this business centre provides a range of different office styles and sizes and are all fully equipped and can be tailored to specific needs. Each floor includes an equipped kitchen, a coffee corner, copy facilities and meeting rooms. Just a few minutes from the train station and around 15-20 minutes from the airport. It is the perfect location for companies that value convenience and accessibility. Set in quiet surroundings and just 10 minutes’ drive from the Royal Boulevard, this centre provides easy access to and from the airport and the motorway systems. Its fully equipped offices are immediately operational and provide accommodating facilities to ensure that clients are quickly settled in. Separate suites include 3 to 4 offices with kitchen and 2 toilets, clients are also able to make use of a meeting room and parking. Near the financial district of the city this small business center is spread over a total of 500m² with modern and newly renovated offices located on the first floor. Only a 15-minute journey to and from the airport, this centre is ideal for companies anticipating frequent travel. In addition, this space also provides a multilingual support team to enhance the efficiency of your business throughout its occupancy of the space. This drop-in centre provides a range of day-offices, a co-working space and a business lounge along with high-standard meeting rooms that are perfect for the travelling professional. Located before security in Luxembourg Airport. At this business centre, you can benefit from IT support for the shared internet provided on-site to ensure your business stays well connected at all time. It is accessible from the N1 road links, along which has a number of regularly serviced public transport connections. This is an ideal workspace solution for businesses that want a strategic location with a pleasant commute. This property is located in Bertrange, 15 minutes drive from the city centre. The office provides fully furnished office accommodation with Wi-Fi and weekly cleaning. A conference room is also available for clients use, as well as a friendly administrative/IT team onsite to help with your mundane operations. This modern office centre provides a great range of business support services including tax filing and administration. The centre is a short walk from the city centre and is a short drive from the airport. This centre is ideal for companies with overseas clients. The surrounding government offices and established businesses will allow your company to benefit from a prestigious, sought-after address.